Available now in the Amazon Kindle Bookstore! The mind-bending sequel to Chronicles of the Mercy Giver. Earth is on the verge of a nuclear apocalypse. The unthinkable scenario—sixty years in the making—is part of a plan put in place by a clandestine syndicate composed of high-ranking military leaders, politicians, and elite businessmen from around the globe. Nuclear ICBMs will launch simultaneously from several nations, crisscrossing the globe and impacting major populated areas, forever changing the planet’s landscape. The members of this clandestine syndicate plan to survive the nuclear holocaust by living in underground cities they’ve been secretly constructing for over six decades. When the fallout recedes, they will emerge from their hiding places to repopulate the earth. In their way. In their manner. And in their time. Fortunately, a handful of people outside the syndicate know about the worldwide terror plot. A ragtag band of men and women led by Brody Cooper, Kiefer Brannon and investigative journalist Lauren Kramer, embark upon a dangerous mission to expose the secret society before it’s too late and everyone perishes. They have less than 48 hours to inform the world. But the big question is: Will anyone believe them? From Mark Romang, the author of the bestselling Chronicles of the Mercy Giver and numerous other bestsellers in the Amazon Kindle Bookstore comes the second installment in the Race for Tomorrow Thriller Series. 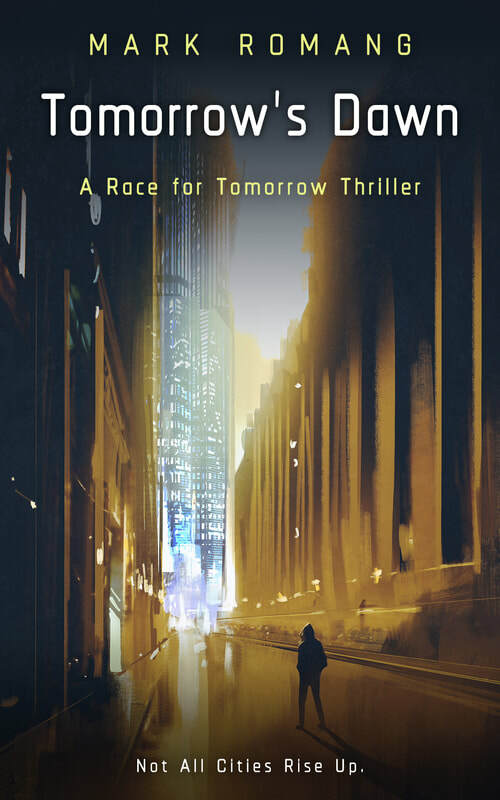 An action thriller tour-de-force, Tomorrow’s Dawn crosses over into multiple genres, including mystery, suspense, fantasy, science fiction and dystopian. Don’t miss picking up your copy today!